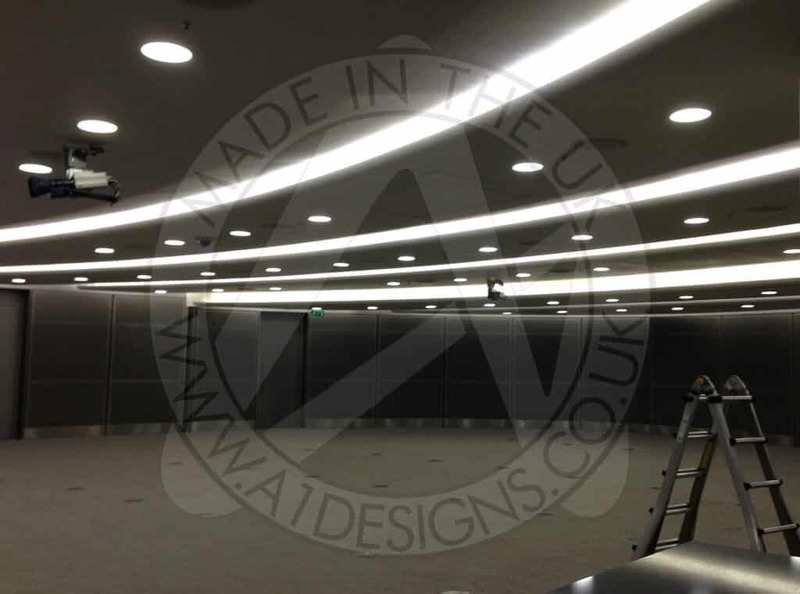 Looking for Cold Cathode Lighting Specialists in London? Look no further! Cold Cathode Lighting is the perfect choice for bespoke, high quality, internal and external architectural lighting applications; cold cathode lighting can be used to highlight features and building lines on the exterior of a building, enhancing the aesthetics of the architecture. 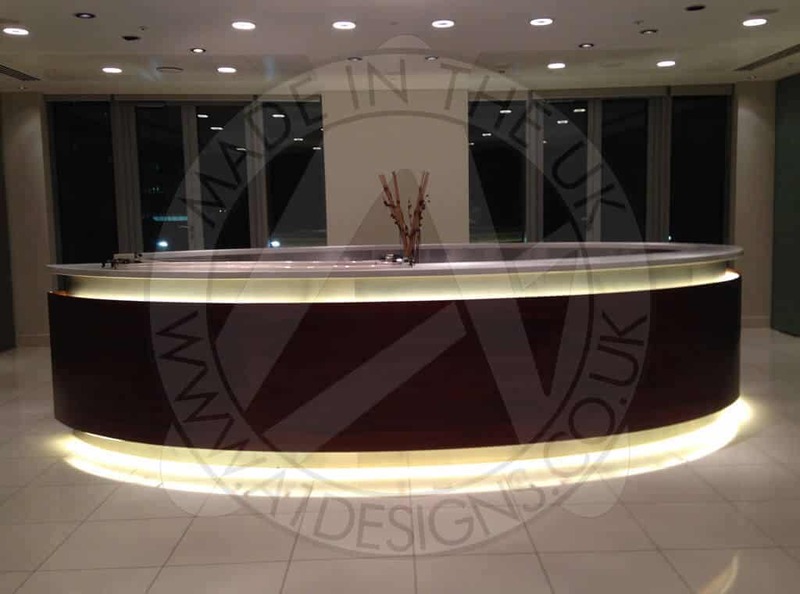 When used internally, either run through coves, around ceiling features or under reception desks, cold cathode lighting with its range of colours can be used to enhance the feel and mood created within the building. Our internal low voltage standard output cold cathode lighting systems can run up to 2.1m of tubing whilst using only 60watts of power and again outputting in the region of 2000 lumens per meter. This system has a single transformer for each tube which is located close to the cold cathode tubes installation position, this system as it is low voltage does not require a fireman’s switch. 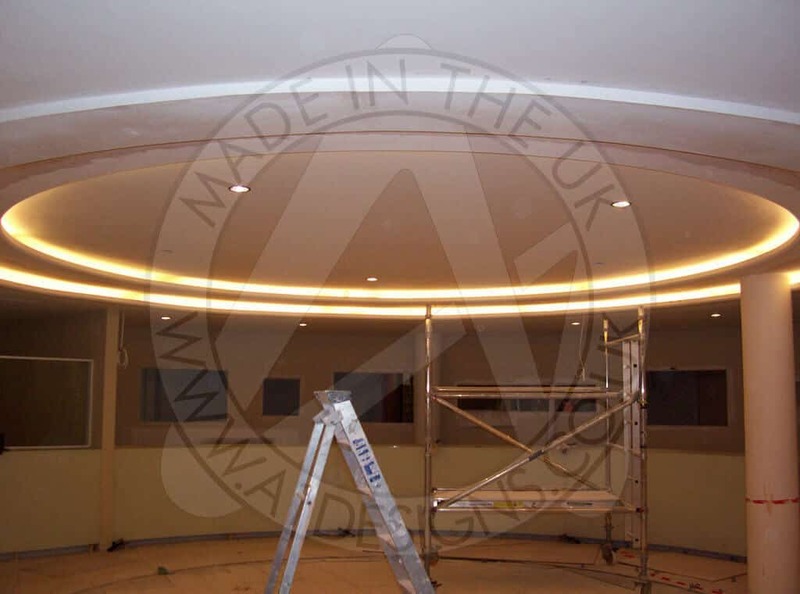 Cold cathode lighting can be made to follow any contour and be placed in such a way that it will give a constant seamless light. When it comes to efficiency of the cold cathode lighting you are looking at up to 60 lumens per watt of power used, depending on colour, which meets and exceeds the Part L energy performance building regulations. 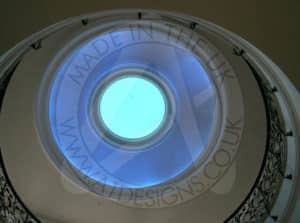 For information on available colours for architectural lighting please visit our cold cathode colour selector page. At A1deSIGNS we care about the environment and, as such, all our cold cathode lighting lamps are recycled in the same way as fluorescent lamps; the whole of the lamp from the glass to the small amount of mercury can be recycled and re-used. At A1deSIGNS we have the know-how to produce the Visual Merchandising signage and props to meet your requirements. 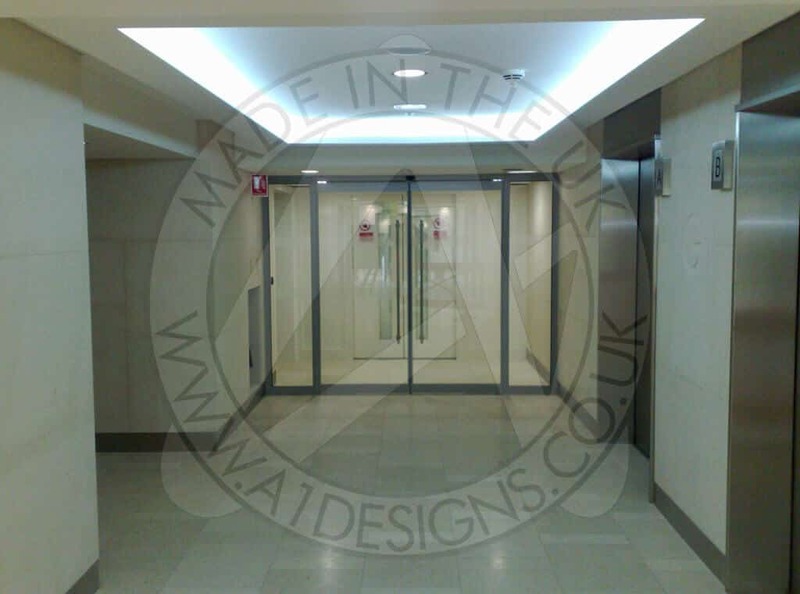 Contact us now for a free quotation or to discuss your needs for Cold Cathode Lighting in London. What is Cold Cathode Lighting? Cold Cathode lighting is a handmade, shaped length of glass that is made to fit a specific shape; for example a curve or a right angle. 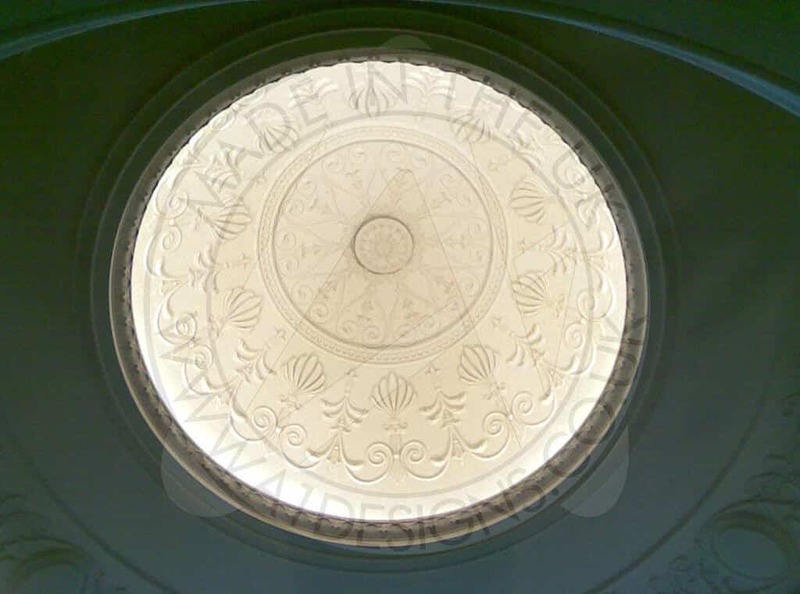 It is commonly used in coving as architectural feature lighting, but can also be used to highlight features externally on buildings. What is the life expectancy of a cold cathode tube? Our tubes are carefully hand crafted and bombarded with the latest equipment, and all our tubes are tested for a full 48 hour cycle. The average life expectancy for a cold cathode tube is in the region of 40,000 hours. What is the difference between cold cathode lighting & neon? The difference between neon and cold cathode is technically the gas within the tube. Cold cathode tubes come in a range of colours and have a small addition of mercury in the lamp; neon tubes are usually only red and tend to be in a clear tube. 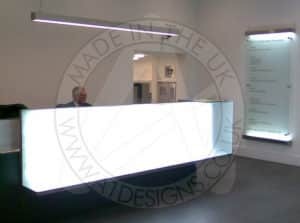 The term cold cathode lighting however refers to the larger bore tubing 18mm and 20mm glass. What is the difference between a high voltage and a low voltage installation? There are a couple of main differences between a high voltage and a low voltage installation. Both installations start off by running on a 240v primary power supply. The transformers however will up the voltage and reduce the amperage of the input power changing both the voltage and the amperage that is output on the secondary side of the transformer. A high voltage installation in the UK can range from 1000v up to 10,000V on the secondary side of the transformer, whereas a low voltage installation will tend to be run on transformers running at 995V. High Voltage Installations require an external fireman’s switch. Is cold cathode lighting expensive to run? Cold cathode is generally not expensive to run. A 20mm diameter lamp will generally consume about 30watts of power per meter running at 90mA. Cold cathode lamps, depending on their colour, come under part L of the building regulations which is 40 lumens per watt of power consumed. How much heat is generated from a cold cathode lamp? Cold cathode lamps generate more heat the more mA (Milliamps) passed through the lamp. The only parts of the lamp that generally get warm are the electrodes at each end. Generally the tubes run at a temperature that is quite cool compared to a hot cathode lamp (fluorescent lamp). How environmentally friendly is cold cathode? A cold cathode lamp can be fully recycled through the same process as a fluorescent lamp. The mercury can be filtered off and re-distilled ready for reuse. The glass can be recycled and so can the iron shells of the electrodes. The phosphors can also be recycled. I have heard LED’s are more energy efficient is this true? When looking at the efficiency of a light source there are a few factors to take into account, these include the watts/amps consumed by the driver, the amount of light output in lumens on a per meter basis and the driver loss on the led driver unit. 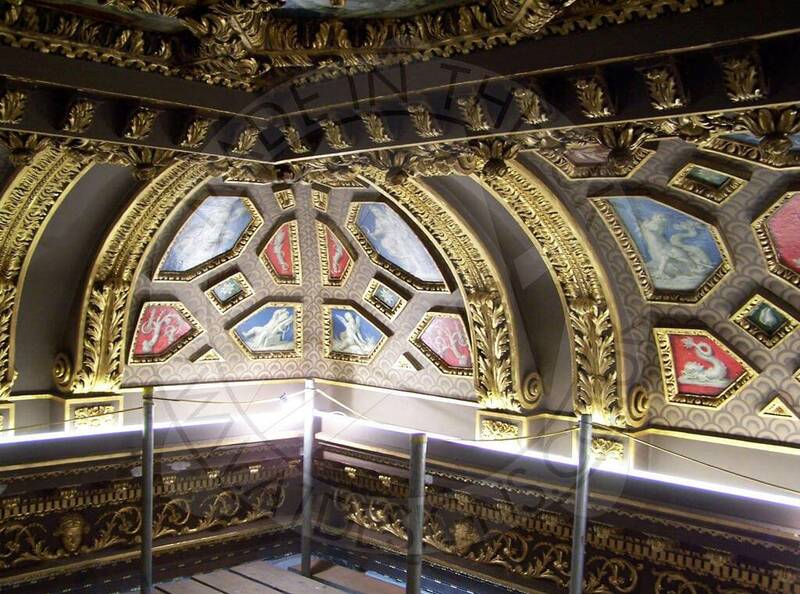 To compare lighting on a fair basis you need to compare the lumens produced for the amount of power used. When looking at many led products especially when using colours other than snow white, cold cathode lighting is a far more efficient light source on a lumens/watt of power used basis. How much space does cold cathode lighting require in a cove?